JOHANNESBURG - Actor Sandy Mokwena, best known for his role as Bra Eddie Khumalo in e.tv soapie Scandal!, has died, aged 68. 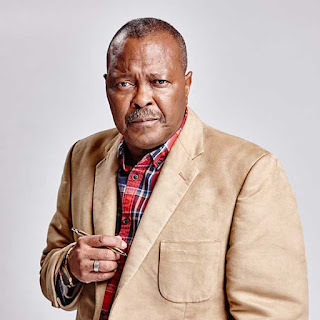 Mokwena appeared in numerous other television series including Generations, Soul City, Okavango, Khululeka, Going Up, Yizo Yizo, Justice for All and Zero Tolerance. "We extend our deepest sympathies to the family, friends & colleagues of veteran actor Sandy Mokwena who has sadly passed on. As early as 1972 he embarked on a world tour with the cast of the musical "Ipi Tombi". He later played roles in Scandal, Generations, Soul City & Yizo Yizo," Tweeted Minister Nathi Mthethwa. According to eNCA, he also toured the world with hit musical Ipi Tombi in the 70's and 80's, playing the role of the narrator, Cappie. Scandal executive producer, Ilse van Hemert described him as one of the best actors in the industry. She said, "Bra Eddie was a giant in the industry, but also with us. He was the anchor of the acting team. The amount of actors who learnt the discipline from him. He is somebody who never made any fuss about anything. Whatever we wanted him to do he would do it. He was an absolute stalwart. "It was important that when there was a new actor that was being introduced, that we have some scene with bra Eddie to find his feet with somebody who becomes like a father to him. "He is a very quiet man, a man of few words. He was like the character he played, Eddie Khumalo. He will be sadly sadly missed."